Our normal years of entry are in Early Years and Reception but we do take pupils throughout the year in all year groups if places are available. This will usually follow a visit and a meeting with the Headteacher and the child will be offered a trial day. It is important on this day they demonstrate that they can settle in and benefit from the environment that we offer. Depending on the age of the child, they may need to undertake some straightforward tests in Maths and English. Following application and the trial day, places will be offered where space permits. Reports from their current school will be requested. Parents who are applying for a place in Early Years may wish to visit the school prior to this, so feel free to contact us to have a look around the school and meet with the Headteacher and Head of Early Years. Places will be offered on receipt of the application form and once accepted, then the place is guaranteed. Early application is encouraged, as there is a maximum number of children that we can accommodate. There is a minimum requirement of 4 sessions per week. When start dates have been confirmed, we offer a settling in session prior to your child’s arrival. An enhanced Early Years curriculum i.e Forest Schools. Specialist teaching from age 2 in Music and Drama. Specialist teaching from age 3 in Dance, French, Physical Education & Swimming. Childcare cover in the holidays is available on site. Please contact the school office for further details. Please check eligibility of the Free Early Education Entitlement on the Nursery Government Funding page for Early Years places. Application is made by filling in the application form. You can also register for an Open Morning or Book a visit. 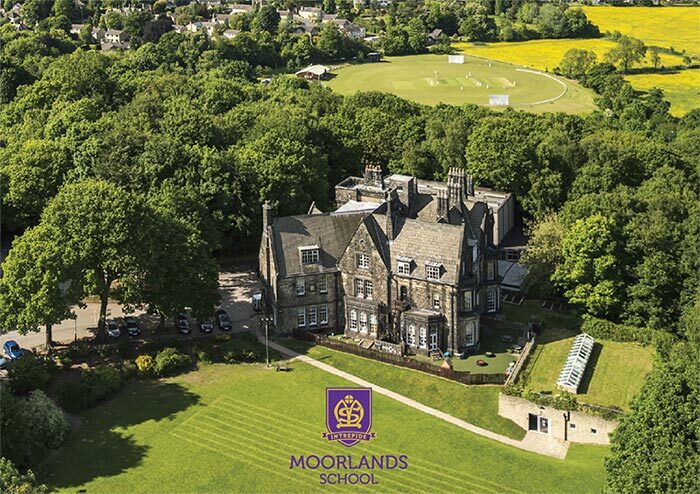 Open Mornings are a great opportunity to see the school and to get an idea of what it is like to be a Moorlands pupil. Complete our application form quickly and easily online. Our membership of the Methodist Independent Schools’ Trust enables us to deliver outstanding value for money.